We've all heard about the amazing performance of the original beautyblender by now and how it gives a beautiful, airbrushed finish to every makeup look... But I think a lot of us balk at the price point, because over $20 for a sponge is just a little more than we can justify. And then, when Real Techniques released their Miracle Blending Sponge everyone was pretty much dying to get their hands on it and everyone was talking about it's a dupe for the beautyblender at a much lower price point. But how do they stack up? And for us Canadian girls, is there a comparable drugstore dupe at an even lower price point? I wanted to take a look at 3 different blending sponges and put them to the test in a SPLURGE VS. SAVE Faceoff! Like my other Faceoff's, I'm going to compare them by 3 different categories: Value, Design, and Performance. For the full comparison and my ultimate pick, keep reading! POINT: N/A, since this is really about performance for price and they're all the same size & quantity. original beautyblender: The teardrop shape of this sponge is very handy. I like to use the wide end to blend foundation out all over the face and the pointed tip to get into more precise areas like around my eyes and nose. This design is incredibly functional, I think. Real Techniques Miracle Blending Sponge: This is similar to the egg shape of the beautyblender but with a blunt flat end on one side of the wide end, which I think makes it even more versatile than the beauty blender because you can use that end to really press product where you need it. Quo Blending Sponge: This sponge is sort of bell shaped, with an indentation in the middle that I really like as far as ease in the hand. Unfortunately, I feel like this indentation makes this sponge feel a little more dense and less light and fluffy, which I don't like. POINT: Real Techniques, for the versatility. original beautyblender: Let's be real, everyone loves this sponge for a reason. When wet, this sponge is airy soft and applied product flawlessly over the skin for an airbrushed appearance - whether it's cream, liquid or powder. It feels really nice in the hand and I find it to be really comfortable and easy to use. I especially love using this to set my undereye concealer with powder because it applies just the right amount of product and really presses it into the skin so it doesn't look caked. Real Techniques Miracle Blending Sponge: This is definitely the closest dupe I've ever found to the airy, light feel of the beautyblender, though it doesn't quite get there and feels every so slightly more dense. Still, I love this sponge because I feel like it's very soft, very versatile, and really can get the exact same results as the beautyblender. I really do like the design, with the flat side on the wide end, because it does add versatility in how you can use the sponge. Quo Blending Sponge: I actually think this is a really good sponge. It definitely doesn't feel as soft and light as the other two sponges but, like I said about, I believe that's owing to the indentation in the center. It is quite a soft material and does a good job of applying product, but I think it takes a little bit more work than the other two sponges simply because of its density. 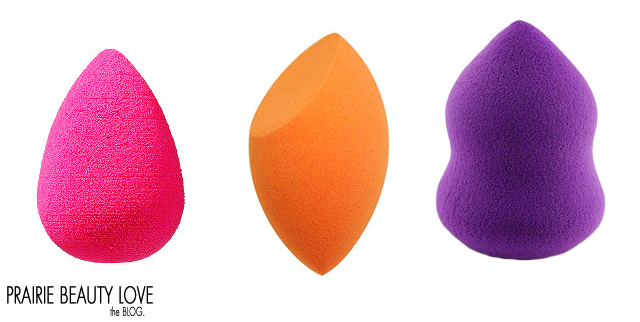 POINT: beautyblender, because it's just so light and easy to use. 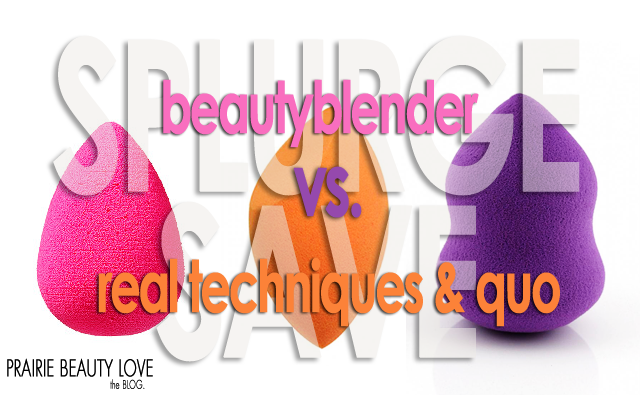 There's a reason that people love the beautyblender so much, because it's just about as perfect a sponge as you can get... but it also has an incredibly high price point that a lot of people just can't justify. For me, the beautyblender out performs all of its competitors, but as far as performance for price, I have to give this to the Real Techniques Miracle Blending Sponge. This sponge seriously gets the job done, is very versatile, and is definitely the closest dupe I've found in softness and performance to the original beautyblender. The Quo Blending Sponge is also quite good and I think is a good option for people who are looking for a very accessible low cost blending sponge. It takes a little more work and isn't quite as soft, but it gets the job done pretty damn well. WINNER: Real Techniques Miracle Blending Sponge! Thanks for reading! What's your favorite blending sponge?